From this page you can purchase the PaintingDigitally Painting Tools, and access help for the tools. Complete Toolset: Includes both of the toolsets above. Note. The Complete Toolset includes all of the tools (brushes, erasers, blenders, actions, papers, swatches and effects) for Watercolor, Gouache, Pastel and Charcoal painting. 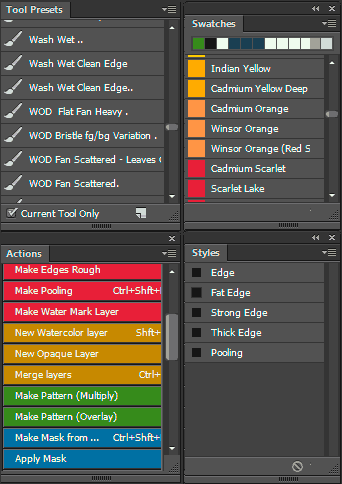 If you have already purchased one of the toolsets (say the Watercolor/Gouache Toolset) and you wish to extend your painting to the complete set then you can just purchase the other toolset (the Pastel/Charcoal Toolset in this example). Note. 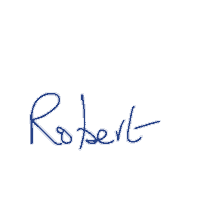 Terms & conditions: The tools you are purchasing are the intellectual property of Robert Ardill, Slane, Ireland. By purchasing and downloading the tools you are acknowledging this. Robert Ardill grants you the right to use these tools for whatever purpose you wish. However you may not sell or give the tools or make them available in any way to third parties, whether by email, on a web site, or by any other means. You may install the tools on any computer owned by you, for your own use. If you are purchasing the tools for business use then you are required to purchase a copy of the tools for each separate user. Thank you for purchasing the tools!